Home Blog Honey, Does This Make My Lats Look Big? Recently, we invited our Team BPI ambassadors to send us blogs on the topic of their choice. Terry Tomlin, a Certified Personal Trainer, the Founder of Team Tomlin Fitness, and an OCB Men’s Physique Competitor sent us this blog on the differences between training your back for width vs. thickness. “There tends to be confusion as to whether you can fully develop the width or thickness of your back. In strength training, there are two kinds of back exercises that are used for back development: exercises that develop thickness and exercises that develop width. You must combine the two types of exercises to work the back from all angles. The back is basically a group of muscles with angles in the shape of a fan. This is very different from the biceps, for example, which has no angles. In many ways, the biceps are like the calves. Some people can easily develop their biceps, while others have arms that seem resistant to growth. However, this is not an impossible problem to fix. Reviewing some of the incorrect notions about the muscle will reveal the obstacles to its growth. That brings us back to discussion of the latissimus dorsi (lats) and the need to clarify the notions of various angles, width exercises, and thickness exercises. 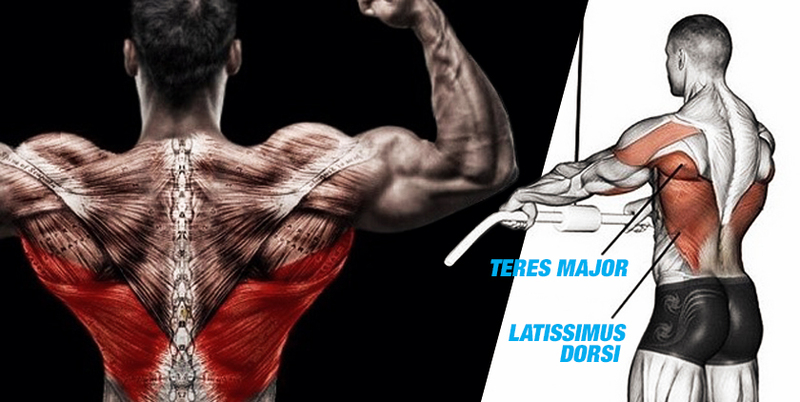 Exercises that are supposed to develop width will primarily recruit the lats and the teres major. When you work these muscles, they certainly grow thicker but mostly they expand outward, giving the impression of width. You should avoid thinking that certain lat muscles develop according to their anatomical predispositions, not in a focused manner based on doing width or thickness exercises. Thickness exercises, by comparison, focus mostly on the lumbar, trapezius, and rhomboid muscles. These three muscle groups only grow in thickness, or toward the back, but not to the sides. They will not give you any increased width. 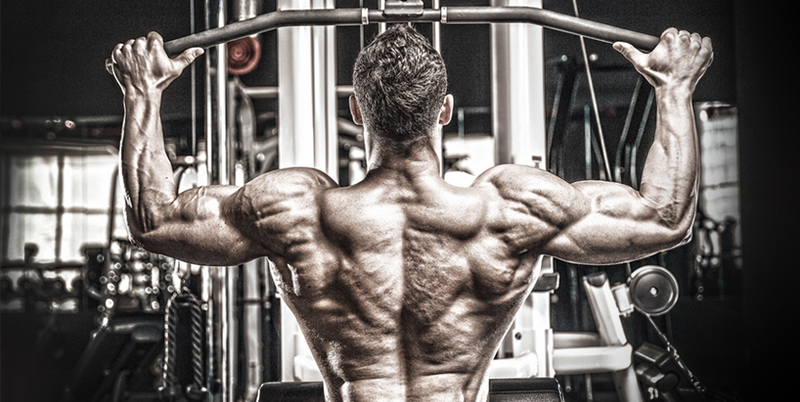 Bodybuilders with very large backs have lat muscles that are both flared and thick. If their back lacks thickness, it is because the development of their lower trapezius, infraspinatus, and erector spinae muscles is lacking. Other bodybuilders are very thick because of the development of their lower back and their trapezius muscles. They can lack width because of the smaller proportional development of their lats.